The Opulence Boutonniere is an elegant way to bring a soft sophistication to the overall look of your wedding party. 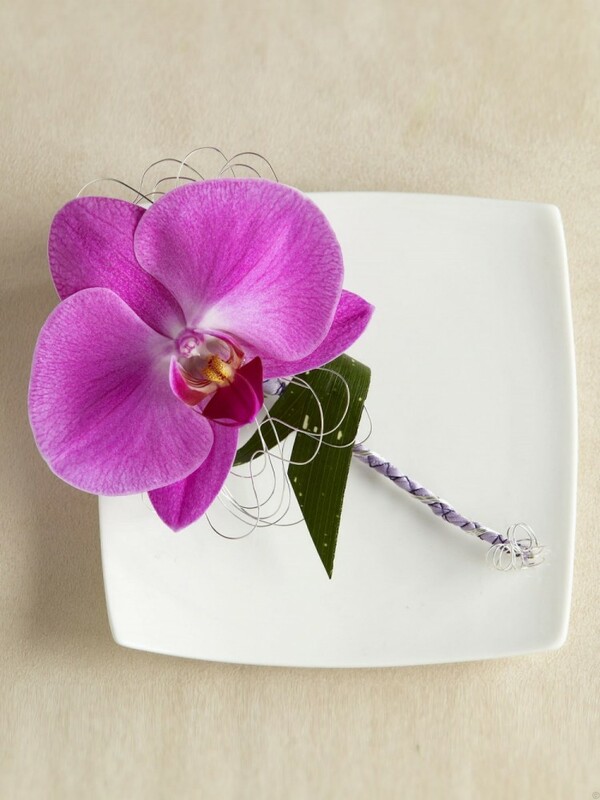 A single fuchsia pink phalaenopsis orchid bloom is accented with fresh greens, lavender French taffeta ribbon and silver and purple wire to create a noticeably dramatic look of elegance. Approx. 7"H x 4"W.